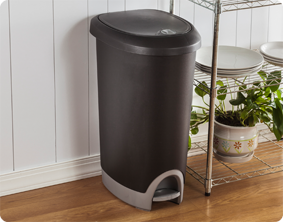 The 12.6 Gallon Locking StepOn Wastebasket is designed with a modern textured aesthetic and features a locking lid that will prevent pets and children from accessing the trash. Turning the locking knob counter clockwise will easily unlock the wastebasket. 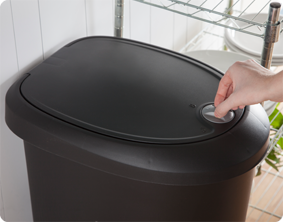 A hinged lid opens easily to replace the trash liner and firmly snaps back onto the base to keep lid securely in place, even if the wastebasket is accidentally tipped or pushed over. 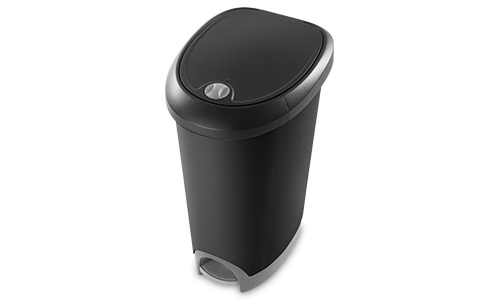 The StepOn lid is perfect for those who prefer a hands – free method of trash disposal. The two piece white and titanium accented base provides a decorative, upscale touch to complement any home décor. Overall Assembled Size: 17 1/4" x 13 1/4" x 25 1/2"
Ideal for the kitchen where pets could have easy access. 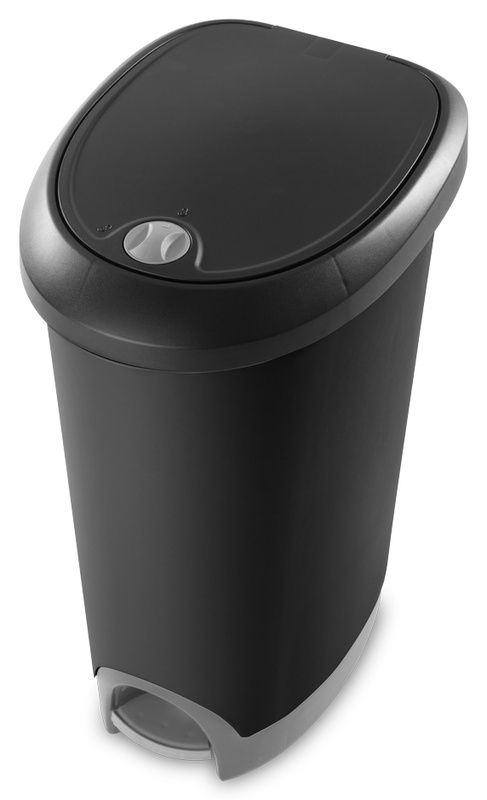 12.6 Gallon Locking StepOn Wastebasket is rated 5.0 out of 5 by 1. Rated 5 out of 5 by robinkath50 from Step-on Wastebasket This is by far the best wastebasket I have ever owned. My dogs haven't been able to open it and tear up the trash. The can is very durable and many of my family members wanted me to give it to them. I highly recommend this product and will be purchasing another.